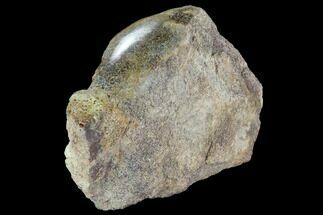 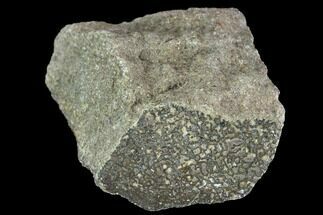 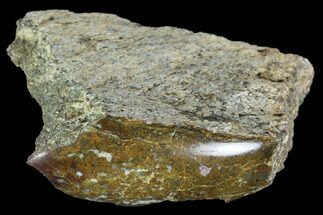 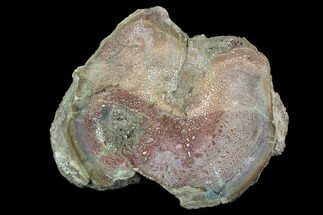 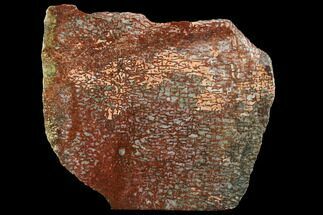 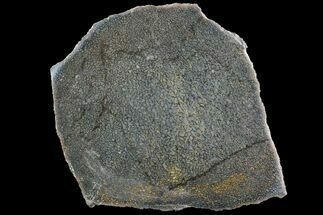 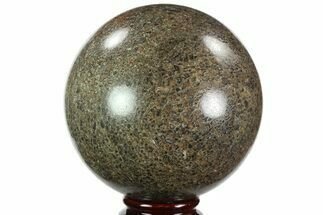 Agatized dinosaur bone is a rare occurrence where the original fossil bone has been remineralized and replaced with silica based compounds (agate, jasper, chalcedony, or opal). 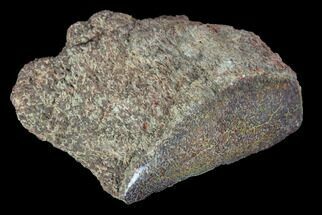 The rocks making up the Colorado Plateau were uplifted about 35 million years ago forming several mountain ranges. 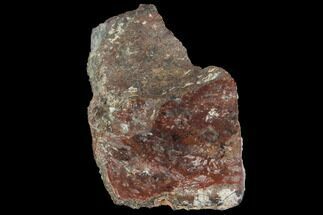 This uplifting caused layers were flooded with silica-rich, superheated groundwater and provided an environment to begin the replacement of the calcite in the original fossils with silicates. 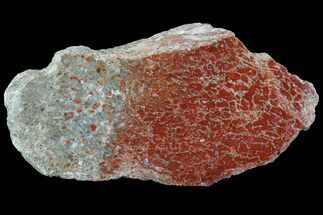 These pieces of bone have been cut and polished to reveal the beautifully preserved internal cell structure of the bone. 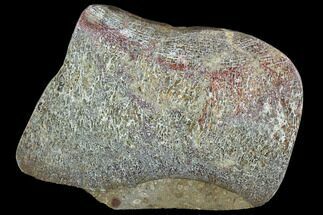 They come from a private quarry near Dinosaur, Colorado and are bone fragments/pieces that are either found on the surface from bones that were long since destroyed due to weathering. 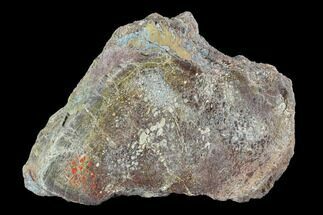 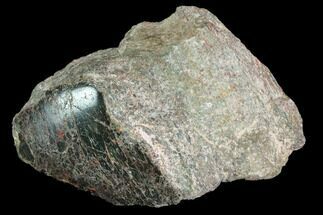 Or from a layer in the quarry full of tumbled and broken bone fragments representing an event layer. 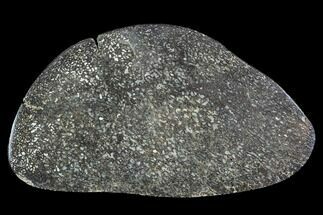 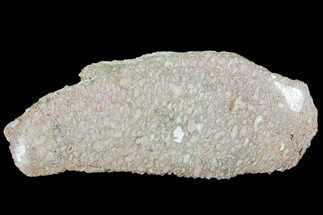 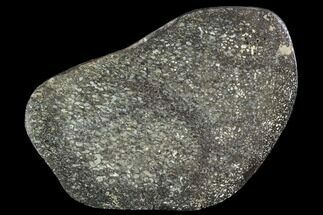 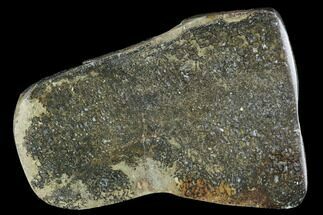 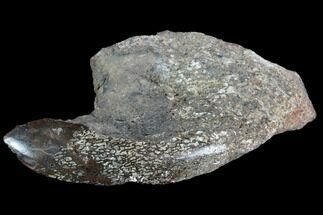 Because they are isolated fragments they may have come from any of the fauna of the Morrison Formation though sometimes the dinosaur type can be narrowed down based on cell size and shape of the piece.